Kudos to our terrific team of Pastini volunteers for participating in the 35th SOLVE Beach & Riverside Cleanup on September 29th. 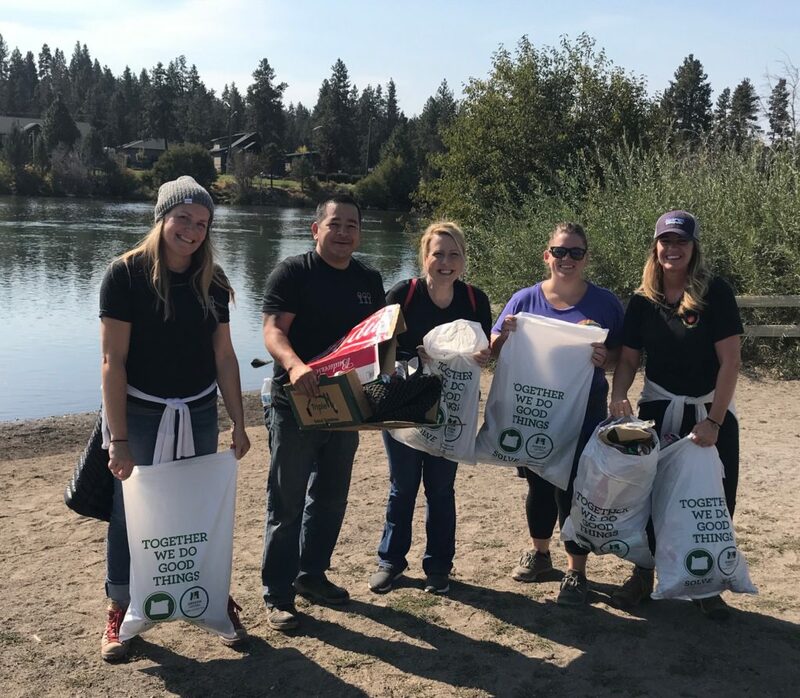 Kim McAdam, Becky Surface, Halee Brown, Steve Talamantes and Katie Quittschreiber spiffed up a two-mile stretch of the Deschutes River Trail in Bend, picking up over 150 pounds of garbage, adding to the 42,000 pounds of litter removed all over Oregon. SOLVE’s leadership in helping keep our beaches and waterways clean is amazing, and we were so glad to be a part of this great day!